Most people come to public relations out of a love for creative and effective communications, not a passion for the inner workings of business. Yet anyone working for a PR agency absolutely must understand the profit implications of the work that they do. It’s great to develop fantastic client strategies and then work with them to successfully execute the tactics, but if you can’t do it by charging the client more than it costs, your agency won’t be around very long. Despite this reality, my experience shows that most PR project managers don’t fully appreciate the business side of their work. 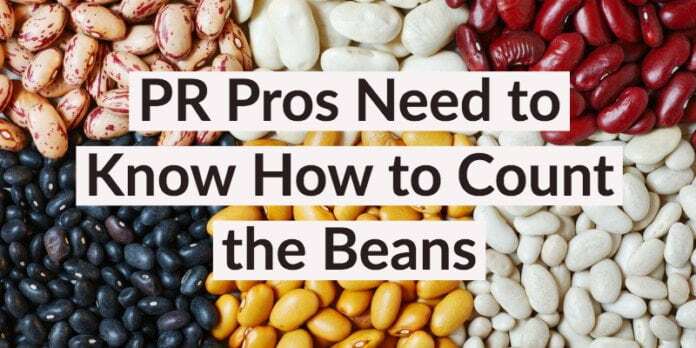 Communicators are used to counting clips, but they need to be just as comfortable counting beans. The first instinct in most client-consultant relationships is to deliver on whatever the client requests. It’s all about keeping the client happy. That comes into play even more so when the consultant is an employee of the agency as opposed to a freelancer or owner. No PR person wants their boss to hear that they aren’t performing, so the natural inclination is to over-deliver to avoid that outcome. But such an approach is unsustainable. If the project was priced out at $100 per hour for 25 hours of work per month, the retainer would be $2500. But if you start delivering just one more hour a week — seemingly a minuscule amount of extra work — the effective hourly rate drops to $86. If I told you that your firm was going to see an overall 14% drop in profitability, you would probably be alarmed. And that’s just what would happen if this same “just an extra hour” mentality takes root on your projects or in your agency. 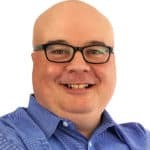 By over-delivering to a client — even for a short period of time — you reset the expectations and it will become increasingly difficult to “right-size” the relationship in the future. Trust me. I have been there many times in my career. The conversation you have with a client down the line where you need to explain the current level of work becomes much more uncomfortable than simply nipping the project creep in the bud. OK, so you think you can keep your labor hours under control. But what about all of the other expenses related to that project? 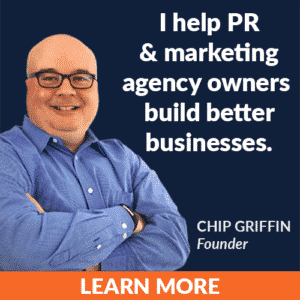 PR agencies routinely use a variety of products and services that are client-specific. Subscriptions to trade publications. That stock photo you didn’t want to bother billing back. Taxi rides to see the client. Subcontractors to do some design work. A media monitoring account. Printing costs for a client presentation. All those costs add up. And all those costs decrease profitability. I’m not arguing that you shouldn’t incur these expenses or work hard on behalf of your clients. Effective client service costs money to provide. But every PR manager — not just the top executives — needs to understand with great specificity the profitability of the projects that they supervise. It is only with this knowledge that intelligent decisions can be made about pricing and service delivery. And it is only with those smart decisions that any PR agency can continue to be profitable and successful. A version of this post originally appeared at ChipGriffin.com.